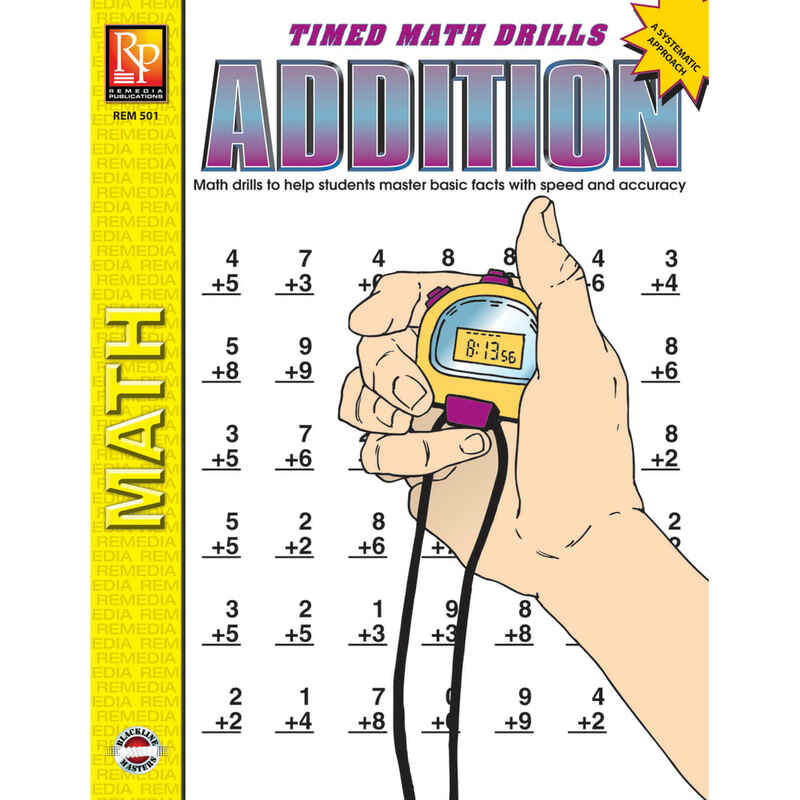 Improve the speed and accuracy of beginning learners with this simplified version of our best-selling Timed Math Drills! 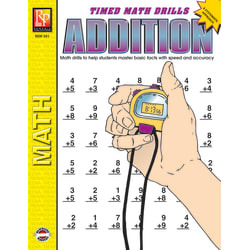 Easy-to-read practice drills with fewer equations per page cover facts 0-9 and feature 36 single-digit equations per drill. Features horizontal and vertical versions of the equations and includes a reproducible award certificate and progress chart. 32 pages.